Tamdhu 10yo (40.0%): When I reviewed the 8yo Tamdhu bottling of The Macphail's Collection back in December I was really hoping that the distillery will be up and running soon under the new management and in less then six months Ian Macleod Distillers announced their first two new 10 year old expressions. 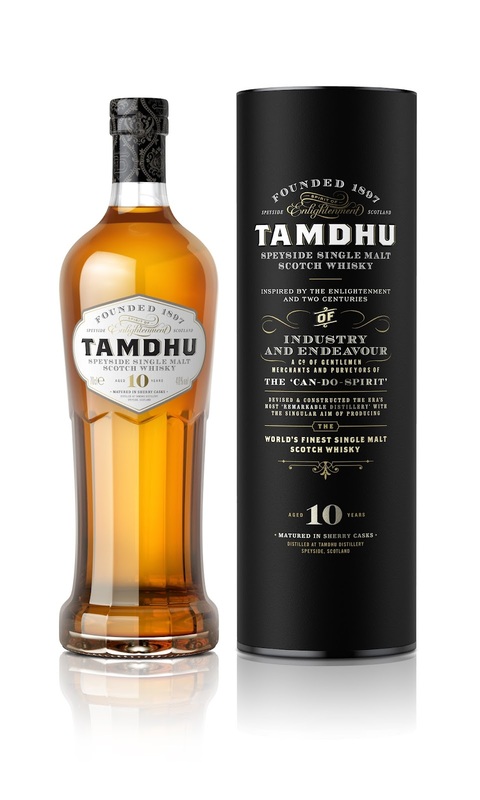 The limited edition is aged exclusively in first fill sherry butts and the wide release is a mix of different sherry casks, both in new revamped bottles. When I first saw the bottle I was kind of skeptical about it though. It looked like a Victorian syphon soda bottle from one angle and like a Parisian perfume bottle from the other. I don't know, I thought that it was designed a little too much for hipsters... Ok, I admit: I hated it... But now it slowly grows on me; seriously... Color: Clean and bright copper. Nose: Orange zest, brown sugar syrup and vanilla. Doughy and sweet. Oatmeal honey raisin bars and warm banana crumb muffins. I am definitely getting the rubber band ball and damp compost aromas everybody is referring to at the background especially after adding water but not in a disturbing way. A sweet and delicate nose in general. Palate: Sweet citrusy notes like a marmalade and also some cookie dough. Light cocoa dusting or more like in the form of milk chocolate maybe with raisins and hazelnuts. I wish it was bottled on a tiny bit higher abv though. I think I would enjoy a slightly thicker mouth feel. Finish: Medium long with the sweet spiciness of brown sugar. Still fruity but less citrusy here, more like juicy red fruits. Overall: I am sold... Liked it. Not drowned in sherry casks which probably made me happier since I really liked to taste its delicate spirit at the core. Great balance of using older casks with first fill ones. Incredibly easily drinkable... It goes down so smooth even the bottle looks prettier to my eye right now. By the way many many thanks to Gal Granov from Whisky Israel sending me the sample literally from the other side of the world.